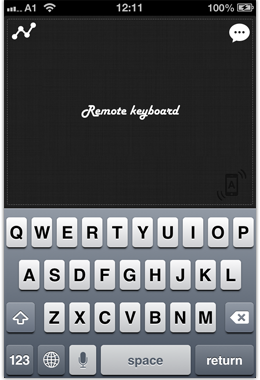 This app is currently at version 1, and requires an iPhone or iPod Touch running iOS 5.0 or higher. 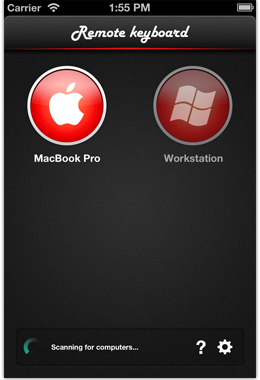 No need for IP addresses or configuration, your iDevice will automatically find your computer and connect to it. You can connect to as many computers as you like. Wirelessly use your trackpad. 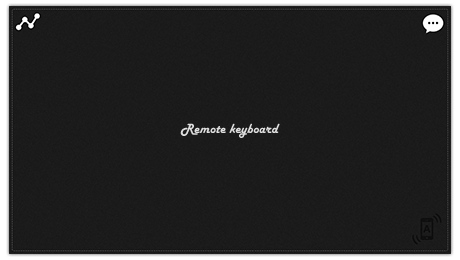 Carefully designed so you can use it without looking: full screen with tucked away buttons. Supports the 2-finger scrolling gesture. Type as if you were sitting in front of your computer. Shake your phone to bring up the keyboard (or press the little icon). 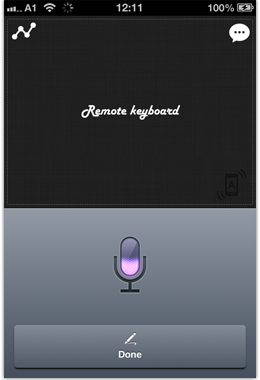 Dictate remotely to your computer using Siri on your phone. 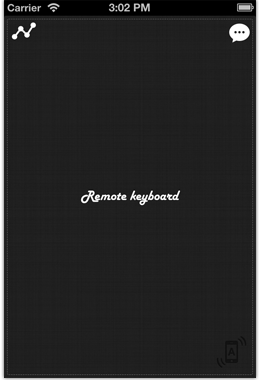 Type control, cmd, alt, Win, shift, Enter, backspace, return, etc. Supports key combos like ctrl-s and cmd-shift-n. 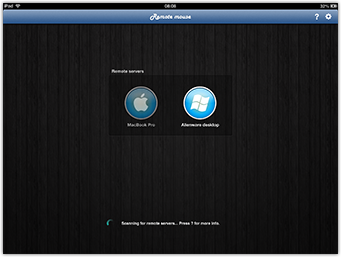 Supports iPad natively. 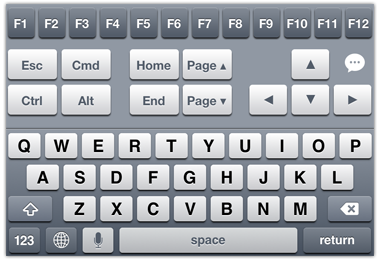 Use the full iPad keyboard and display. Designed for the iPad 3 Retina display. Supports iPhone 5 and its 4 inch Retina display. Own this app and are having trouble? Check out the support page.